It's been a few weeks since we had a Featured Friday, and not for a lack of excellent websites to showcase. 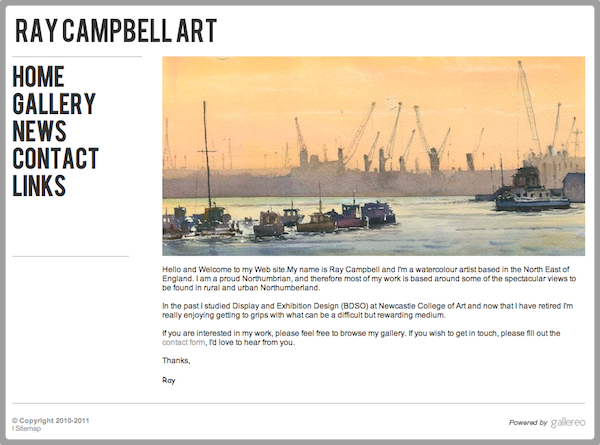 This week, we are bringing it back, with the work and website of Ray Campbell. I met Ray for the first time very recently, although I had seen his beautifully rendered watercolour paintings in a local gallery before. I've chosen Ray for this weeks feature, both because he has a very nice looking website, if I do say so myself, but also a wonderful story to go with it. Ray will soon be 68 years old, and while this is of little consequence generally, you might be interested to hear that Ray has only been painting, and making art for the past 5 years. Hard to imagine considering the work. Ray is based in the North East of England, and studied at the Newcastle College of Art when he was just a youngster. Coming away qualified in Display and Exhibition Design, Ray began to work in a local art studio where he was able to indulge in his passion for art. However, it was not long before the studio went out of business and Ray was left looking for work. After searching for similar positions across the country, and finding opportunities few and far between, Ray was forced to take up work elsewhere, eventually finding himself working in the coal mines of Northumberland. Now with a small family of his own, Ray put any ideas of art far behind him. Ray didn't touch a pencil or paintbrush again until he was in his early 60's, and by now remarried, with grandchildren. One day, his grandson asked him to draw a car that could then be coloured in. Ray drew the car and, to the amazement of his family around him, it was pretty good. His wife commented "I didn't know you could draw! ", to which Ray responded, "You never asked." Ray's family then bought him paints and other art materials to allow him to indulge in a skill that he had long forgotten he had. 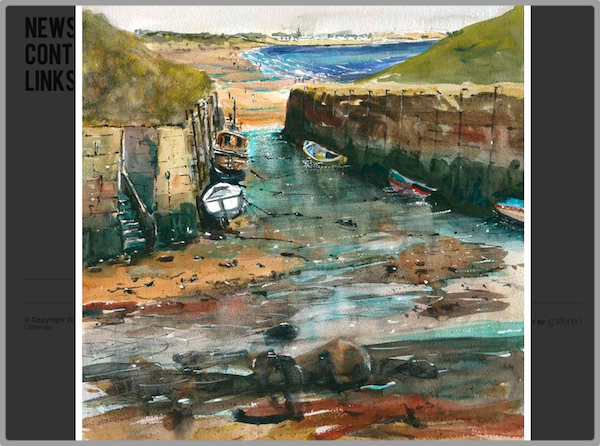 Over the past few years he has taken part in some art classes to get back into things, and now spends a great deal of time painting the local landscapes of his native North East. 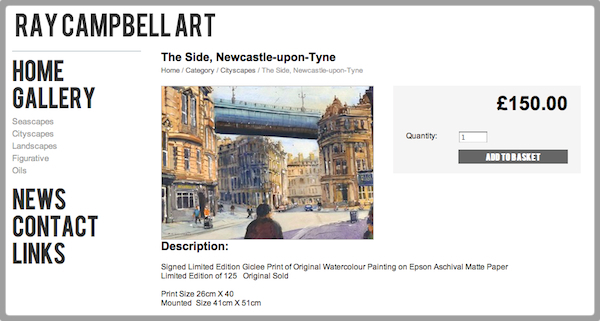 From drawing a small car for his grandson, Ray is now widely exhibited in the North East, and original works can sell for over £1,000. 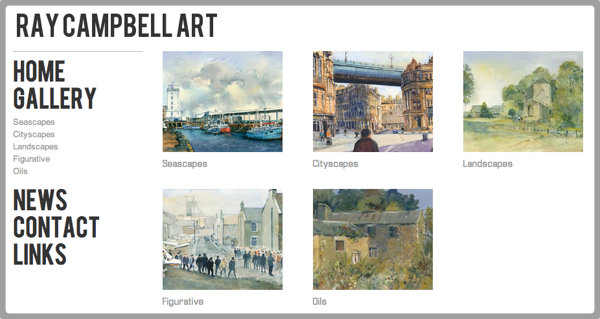 Please take the time to look through Ray's website at some of his tremendous water colour scenes. You can also see a news interview with Ray on the links page of his website. Enjoy.